Agriculture students learning to work with goats. Reflection- It's the end of the fiscal year (March 2019) for World Gospel Mission (WGM) and it's time for us to write our annual report. It's the time of the year when we always stop and reflect on the past and ask God to give us a renewed vision for the future. We've been doing this annually for most of our 39 years of service with WGM. 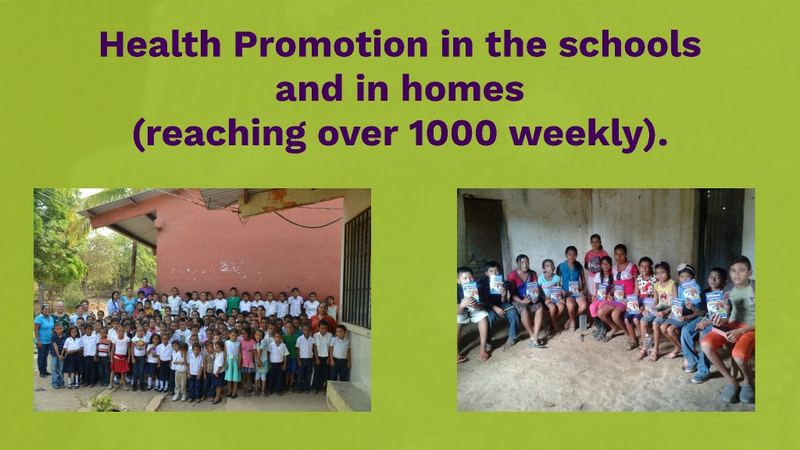 We are also approaching our 19th anniversary of working in Choluteca in collaborative work between WGM and the Honduras Holiness Church (IESH). 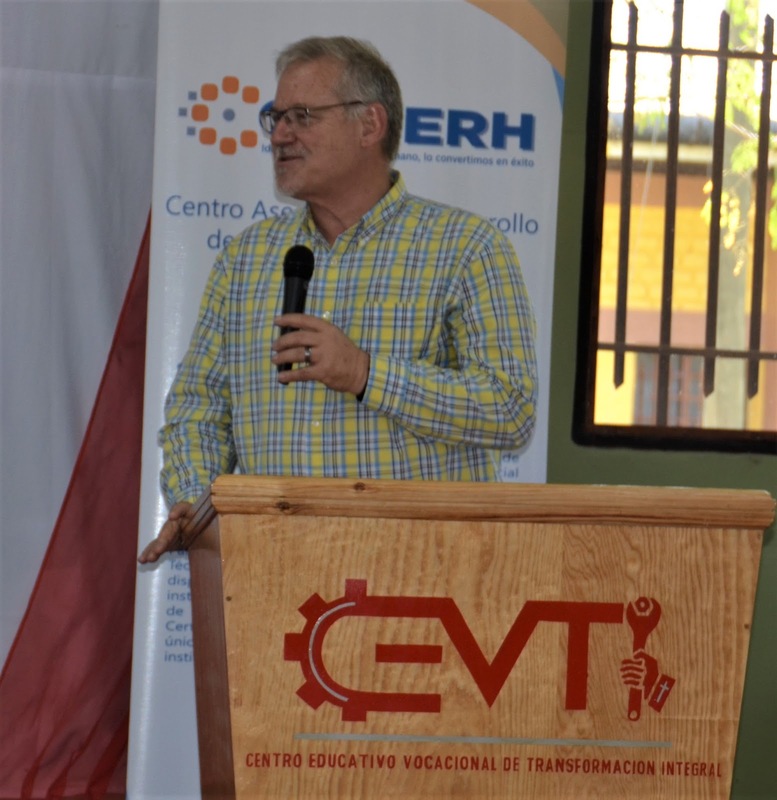 Returning to Honduras in January brought us face-to-face once again with the reality of the needs and opportunities of Honduras youth. 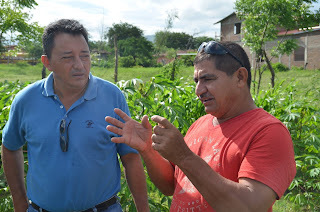 Apacilagua- Since coming to Choluteca, I have always felt the drive to teach agriculture. We had been told that there was a school in the region that had a high school agriculture program. In 2014, along with my adviser, a fellow student at OSU and one of our health promoters, we had driven through the countryside looking for the school. 2017-Ribbon cutting at the inauguration of the new well. States raised the money to drill a well on the school property. The agriculture students in Apacilagua are now able to grow a garden during the dry season. We have supplied goats for them to gain experience in working with animals. Combined Study Abroad teams from Ohio State and Utah State universities have helped the school with several projects. 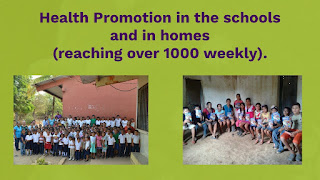 Our health promoters have been teaching children and young people in the school each week. The promoters have emphasized the importance of maintaining a healthy diet. Medical brigades have participated in education programs as well. In March, our ministry team visited Apacilagua. 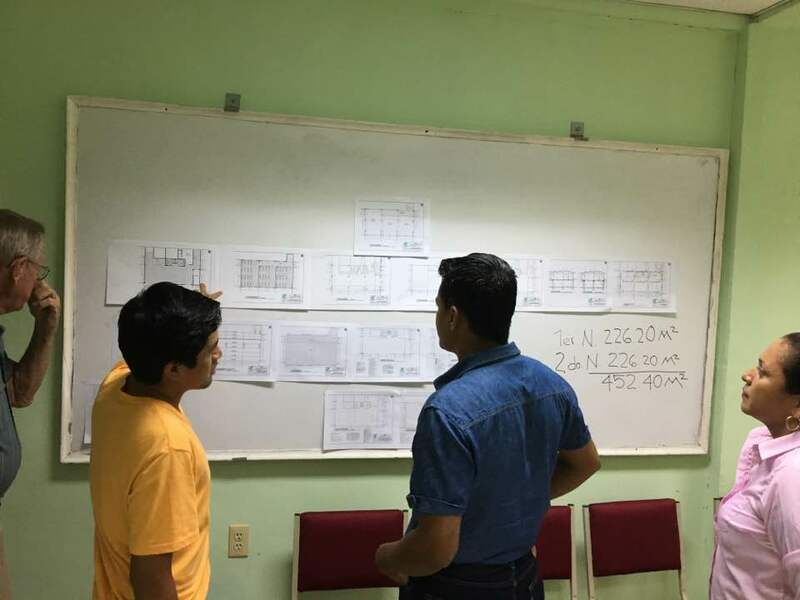 Recently, along with other members of our Choluteca team, Angie and I revisited a high school in Apacilagua that we had been working with over the past five years. 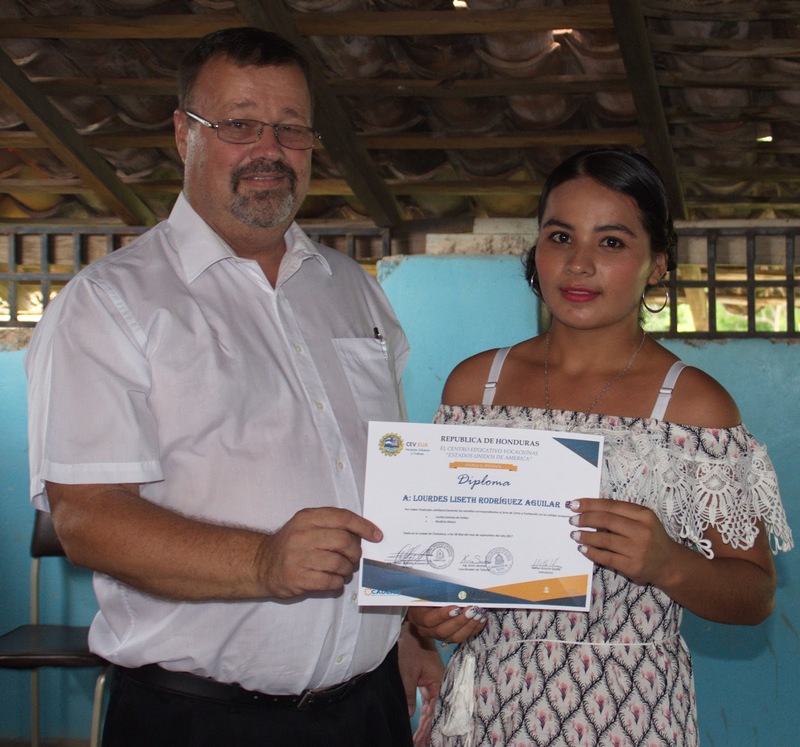 Our recent visit was in response to an invitation from the school to discuss possible ways we can collaborate in the education of the youth of Apacilagua. Apacilagua is about 22 miles from where we live in Choluteca and is a town of around 800 families. The main economic activity in Apacilagua consists of agriculture and livestock. The majority of the crop production is cantaloupe, watermelon, okra and basic grains such as corn, sorghum, and beans. Apacilagua is part of the "dry corridor" of low yearly rainfall that runs through parts of the Central American countries of Guatemala and El Salvador in addition to Honduras. Due to low levels of precipitation most of the year and with lack of developed technology available to the small farmer, production levels remain low, creating a situation where farmers are barely achieving a subsistence living. Many people in the region are undernourished or malnourished. 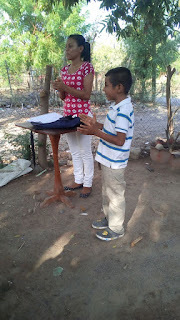 A Vision for the Future- We have been praying about ways we can get more involved with helping in education in Honduras. We want to build on the investment that has already been made. There are many needs at the school but we do not want to enter into a large construction project that will consume all our resources. Instead, we hope to work with the community to make use of locally available resources whenever possible. Personnel at the high school expressed interest in developing a closer relationship with our team and to discover ways that we can help them. Our group met with the director of the school and several of the teachers. In the meeting, I was not expecting that the agriculture teacher would look at me from across the room and simply say, "I need your help." Our Choluteca team meeting with high school personnel. 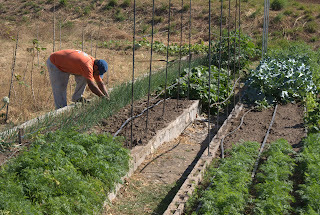 The high school agriculture program now has fewer students than in previous years. We are considering several possible areas of collaboration with the school. We would like to 1. help improve the classroom experience for students, 2. collaborate with the students in developing a design and building a small model sustainable agriculture project, 3. start an after-school intercurricular leadership program similar to FFA, and 4. develop a vocational shop plan that would include courses in different areas such as welding, small engine or motorcycle repair, electricity, food processing, etc., 5. we would like to develop supervised agriculture projects in the homes of the students. Agriculture is vital to the region. There is a need for young people to better prepared in understanding agricultural production. Teaching agriculture is an excellent opportunity for us to apply innovative ideas for mentoring the youth of Apacilagua. The agriculture teacher and Chacho talking teaching options. After Easter week, we plan to sit in on some of the agriculture classes just to observe. The teacher has invited us to become actively involved in teaching as well. Maribel (doctorate in Microbiology) has offered to go to the Apacilagua once every month to teach microbiology. The school does not have a microscope or other lab equipment let alone a science laboratory. We are hoping to obtain a couple of microscopes as a beginning. Since we helped the school put in a well for water, there is ample water available for any small animal projects. They have a small garden but still, face many obstacles. We would like to help the school set up a small sustainable model farm based on using aquaponics as the primary focus. We would also like to help them set up a small seed bank to provide seeds to members of the community. I share a dream with several others of adding an "FFA like" element to the education program for the agriculture students. They do not get any leadership training or any encouragement to become entrepreneurs. 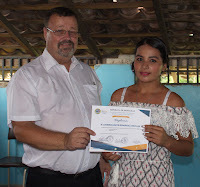 Our vocational school is preparing to offer courses to the students in addition to their regular classroom work. 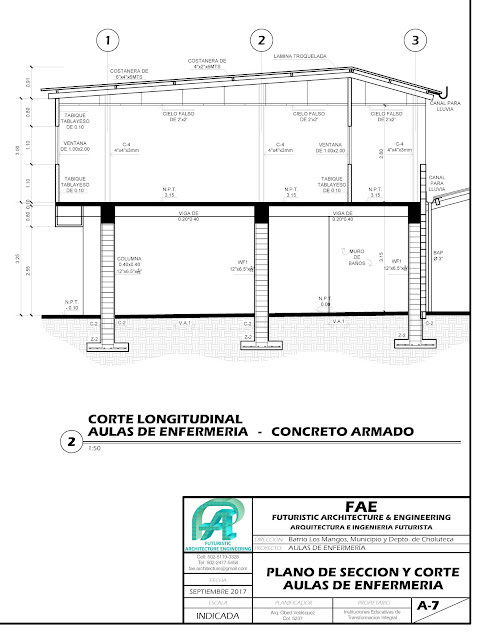 We hope to obtain a small property close to the high school where we can teach the vocational courses. 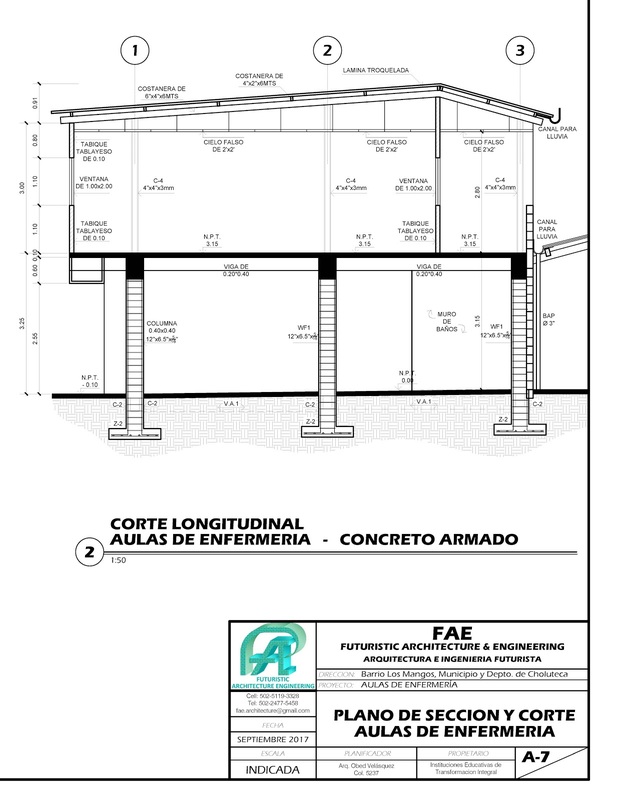 We are considering the possibility of using shipping containers to build a mobile classroom that can be used for the vocational courses, community health teaching, and for the church that is getting started. 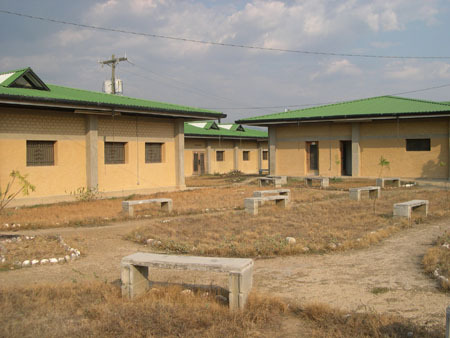 Containers for classrooms have been found to have several advantages over typical "brick and mortar" construction. They are cheaper and faster to set up. Containers may be transported to a new location. Pray with us that God would direct our paths in this new opportunity. "'Behold, a virgin shall conceive and bear a son, and they shall call his name Immanuel' (which means, God with us) (Mt. 1:23, ESV". "God with us" is a theme that runs throughout the Bible and it is a theme that has been very personal to us throughout this year. It is a theme of continual Messianic hope for the people of God. It was the promise that God would guide, protect, and rule over his people. Joshua challenged the people of Israel to stand strong and not be fearful because God was with them (Joshua 1:9). Isaiah heard God tell him to not be fearful or dismayed because God would be there for him and uphold him with "righteous right hand" Isaiah 41:10, ESV). The writer of Deuteronomy assured God's people that God would be with them and never leave or forsake them (Dt. 31:6, ESV). God being with us is not some favor that we can earn. God came to the world in the form of a baby in a manger to give us the free gift of salvation and the promise that he would always be with us. He is available to everyone. God has promised to be with us in every moment of our lives, through the good times and the difficult ones. He counsels us to not be anxious about anything but to depend on him for all our needs. As I think back on the 2018 year, which is nearly finished, I am again in awe of what it means to have "God with us." There were many times when Angie and I encountered difficult moments throughout the 2018 year but we have been continually assured that God has been with us. The difficulties that we have faced have often turned into opportunities for God to bless us beyond our greatest dreams, more than we could have ever imagined. These are a few of the highlights from our family in 2018. Without much doubt, the hardest part of the missionary life for us has been having to say "goodbye." It hits us in both directions, leaving and returning to the States. We have our direct family in Ohio and cousins throughout the country. Over our lifetime we have made lots of close friends. Leaving them to go to Honduras for an extended time is hard. Some, we will likely never see again. Many of our Honduras friends have become family to us as well, so we always have mixed feelings when leaving one country to go to the other. We try to focus as much as possible on the blessing of having such a large family with so many friends in two countries. Angie and I are proud of all our children and grandchildren. Our family continues to grow in number, in stature, intellectually, and spiritually. It is amazing t us how multi-cultural we become. I guess that would be expected with our background of living for nearly 40 years in two different countries. Our children who were born to us are third-culture kids, having grown up in Honduras and now living their adult lives In the United States. They are magnificently special. One of the lessons that we have learned is that family does not consist of only those who are our direct genetic relatives. It reminds us that we too have been adopted into the family of God. We have seven grandchildren so far. Rachel and Jared have four children, David and Stacey have two children, and Maribel and David have one daughter. Whether they are born into our family, or lovingly adopted into the family, we are proud of six grandchildren who live in the States and one here in Honduras. Maribel is our Honduran daughter. Sometimes, I think that if she had been born to us as parents, she couldn't more closely imitate some of our characteristics. She even laughs at my jokes in English. Maribel is about the same age as our daughter Maria. She came to live with us as a teenager, though we have known her family for most of our career. During her high school years, Maribel dreamed of becoming a microbiologist. Though at times it seemed like an impossible dream, this year Maribel graduated with a doctorate in Microbiology. She teaches in the nursing school. Maribel and her husband David work alongside us in ministry. They pastor the Shalom church that we helped to get started. Their daughter's name is Belen and is in kindergarten. It's nearly impossible to get everyone in a photo. It is exciting to think about what our grandchildren are going to accomplish and experience in their lives. 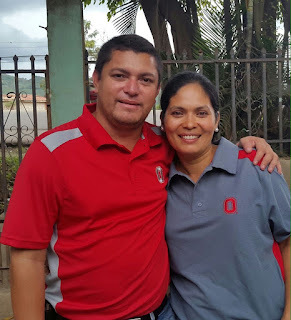 It has been fun to live next door to four of them over the past several months while we have been home in Ohio on Home Ministry Assignment (HMA) with World Gospel Mission. We live just close enough in our next door apartment where we can observe them for a while each day. We can also retreat to our "nest" when things get too loud for us. We had a great Christmas season together. Right now, the comment that I hear most is "Hey mom, Alexa's not working." They will figure it out for sure. David and Stacey added a new child this year. It was great for us to be here to help babysit for two-year-old Carter and newborn Owen. 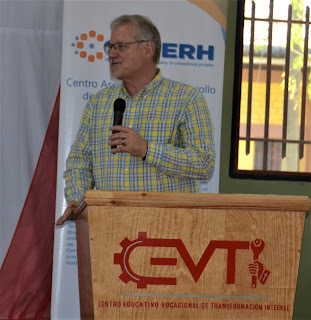 On December 19th Larry finalized his four years of doctoral studies by graduating with a Ph.D. in Agricultural and Extension Education from Ohio State University. It has been a long haul, but the process was beneficial as we gained new knowledge along the way. We are now looking at how to make the best use of the degree as we return to Honduras in January. Our dream is to teach university students by developing a Study Abroad program with World Gospel Mission. We are analyzing the options and waiting on God to show us the open doors he wants us to walk through. celebration, where we will witness the uniting of two families through the marriage of our daughter Maria to Jasdeep (JD) Singh. We have valued this year as a time of getting to know JD better. We quickly understood why Maria fell in love with him. Welcome, JD, to our 'interesting' family. It has been an exciting year. We give testimony that God has been with us every step of the way. We look forward to seeing God's plan for the 2019 year and beyond.